Mark this date (FRIDAY JULY 11th) down in your planners, dairies, schedules, calendars, iphone EVERYWHERE! 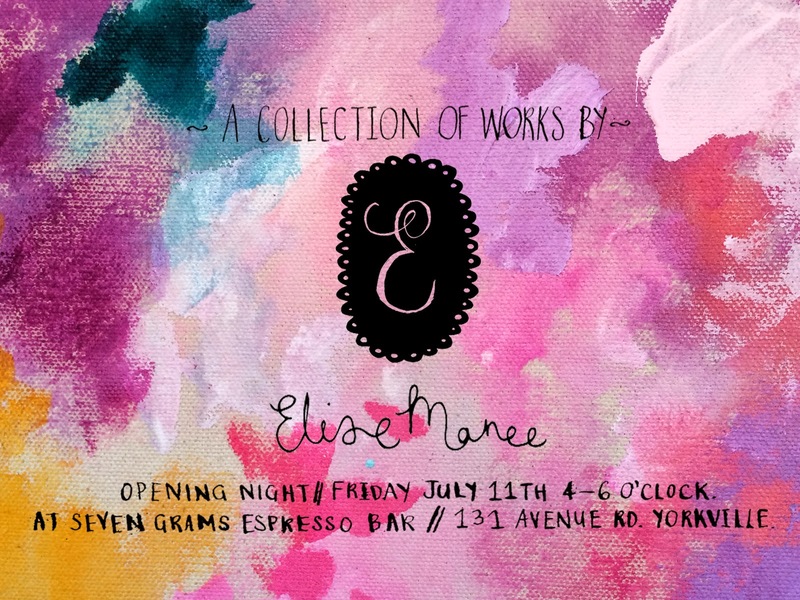 for it is the opening night of my latest art show at seven grams espresso bar in Yorkville. The show will be on throughout the summer, However the opening night is always the best. Cant wait to have you all there and also we will be having a pop up shop on the opening night only- lots of fun cards, prints and journals! Lots of love Elise Maree.